RADIO stations, much as they disseminate news for listeners’ update in current affairs, they too, turn out as news makers. 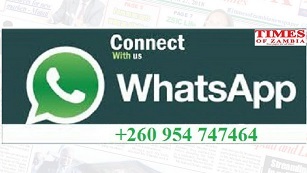 Recent hullabaloo at National Assembly involving expelled Roan Patriotic Front Member of Parliament Chishimba Kambwili, Copperbelt Minister Bowman Lusambo and Lands Minister Jean Kapata was brewed from a radio station. Ms Kapata, while on the floor in Parliament complained of Mr Kambwili having been phoning radio stations accusing the PF Government as corrupt. Once upon a time, United Party for National Development (UPND) leader Hakainde Hichilema was evacuated through the roof top of Sun FM in Ndola to avoid PF cadres who had waylaid him. Fallen PF founder Michael Sata was once roughed up by Movement for Multiparty Democracy (MMD) cadres from Radio Icengelo studios in Kitwe. Radio Phoenix in Lusaka has had its share of fights when opposing parties, either in sports, business or politics have squared off. From Kasama in Northern Province, Radio Mano is no stranger to controversies that led to Government shutting it down more than once. 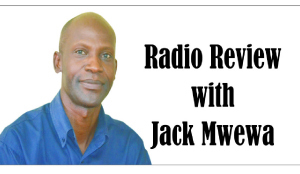 Such is how influential and dependable radio can be, it can build or destroy, promote or demote, praise or shame, it surely should not be under-estimated. With that kind of status, radio has so much force that should not be left in the hands of careless and unprofessional hands if we are to guard against trouble. Rwandese can testify to how Radio in that country triggered the worst genocide that led to the killing of over 800,000 people. In June 1993 a new radio station called Radio-Television Libre des Mille Collines (RTLMC) began broadcasting in Rwanda. It is said that the station was rowdy and used street language – there were disc jockeys, pop music and phone-ins. Sometimes the announcers were drunk. It was designed to appeal to the unemployed, the delinquents and the gangs of thugs in the militia. In a largely illiterate population, the radio station soon had a very large audience who found it immensely entertaining. Its stated aim was “to create harmonious development in Rwandese society” but nothing could have been further from the truth. It was set up and financed by Hutu extremists to prepare the people of Rwanda for genocide by demonising the Tutsi and encouraging hate and violence. Some people – including the Belgian ambassador and staff of several aid agencies – recognised the danger and asked for international help in shutting down the broadcasts, but it was impossible to persuade western diplomats to take it seriously. They dismissed the station as a joke. David Rawson, the US ambassador, said that its euphemisms were open to interpretation. The US, he said, believed in freedom of speech. The radio told people to go to work and everyone knew that meant get your machete and kill Tutsis. RTLM was set up and financed by hard-line Hutu extremists, mostly from northern Rwanda wealthy businessmen and government ministers. Its backers also included the directors of two African banks and the vice-president of the interahamwe (militia). The Rwandan audiotapes of the International Monitor Institute (IMI) records are comprised almost entirely of the transcripts of radio broadcasts translated from Kinyarwanda into French and English. What is interesting about the content of these broadcasts (the transcripts of which can be found in the IMI organizational records and the audiotapes of which can be found in the Rwandan Videotapes and Audiotapes inventory) was the way in which its efforts to direct the extermination of the Tutsi population was paralleled by its efforts to claim authority over the telling of history. The radio broadcasts reveal a struggle over who gets to tell history and, therefore, a struggle over a monopoly on truth. In other words, the RTLM broadcasts exhibit a phenomenon which seems to be more universally true, which is the political necessity of storytelling. We don’t need any more examples of what radio stations are capable of doing, and it is because of such dangers, we need to guard against careless broadcast.